School’s back in session! 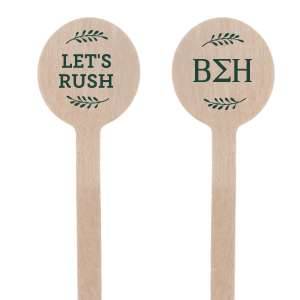 You know what that means—time to get creative with theme ideas for your sorority socials and mixers. 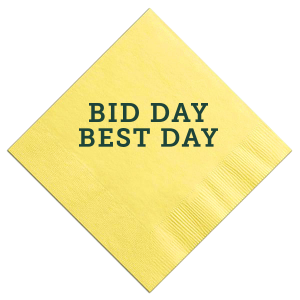 Organizing your bid day extravaganza? Or looking to be a fantastic social chair for this year’s formal? 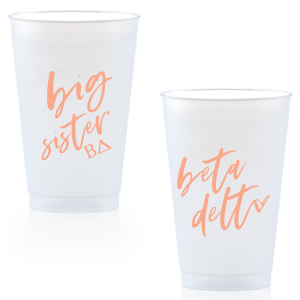 Whatever your chapter and whatever the occasion, personalized party supplies for greek life events are a must! 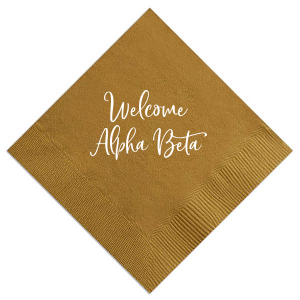 From napkins with your greek letters to reusable cups featuring your party theme, you’re sure to impress with For Your Party. After making sure that your party, be it a mixer, formal, social, etc., will follow the national guidelines for your chapter (duh, you know them) as well as campus rules, it’s time for the fun stuff! First, what are you planning? 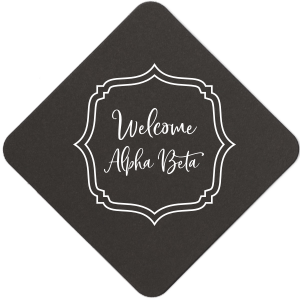 The ultimate pregame, a mixer, a sister social, philanthropic event, rush events or a big Greek Week bash—there’s so much to being a part of greek life! Regardless of your event, there are usually a few party basics you’ll want to cover. What’s the theme? Themed mixers are a forever staple to greek life activities. At any given campus, you might find the classic toga mixer (how many sheets does one really need to make an outfit?) or something a little more throwback like a ‘90s theme party. As the social chair, decide the theme early on so that all the other party details can fall into place. We’re loving this list of themed mixer ideas! Where’s the party? If you’re hosting a mixer between sororities and fraternities, it will most likely be at the fraternity house. 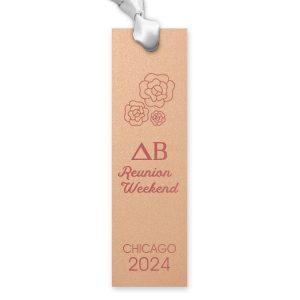 Maybe the frat is doing the planning, maybe the sorority is—regardless, party details like decorations and party supplies need to be attended to! If you’re hosting a formal, philanthropy event or even a sister social, you may be looking beyond the chapter house to hold your event. If this is the case, be sure to book plenty of time in advance to that all the necessary protocols are followed. Details, details, details. Remember those decorations and party supplies we mentioned before? Now’s the time! Since you already know your theme and where the party is being held, you’re halfway there with decor. Think theme and fill the space with just what you need to make the event come to life! Creating a great photo op is always a plus. Like a faux red carpet for your Celebrity Duo theme or glitter palm tree cut-outs for an Islander theme. Party supplies! Don’t forget to order plenty of party napkins, cups and other serving ware. You might not always need plates and such if you’re not serving food or appetizers. But cups and cocktail napkins are pretty much always going to be in demand. 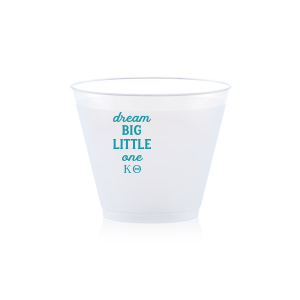 Do your themed party justice and order personalized napkins and party cups that coordinate with your theme! 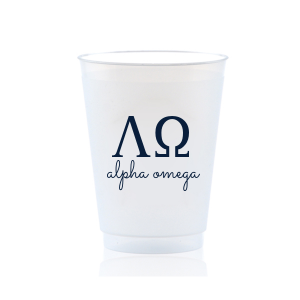 You can even just create custom party supplies with your greek letters on them to have on hand for any event. Executing these perfect details will make your party a success and you’ll truly be the social chair all others will strive to be.